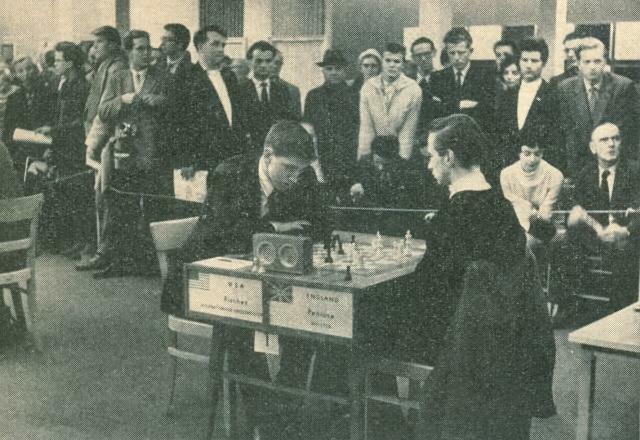 A number of readers correctly identified Fischer’s opponent as Jonathan Penrose, at the Leipzig Olympiad, 1960. 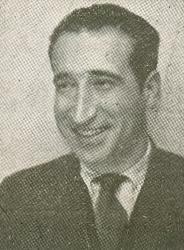 The photograph appeared on page 11 of Schach-Echo, 8 January 1961. John Hilbert (Amherst, NY, USA) notes that it is now possible to search the full run of Time (1923-2008). 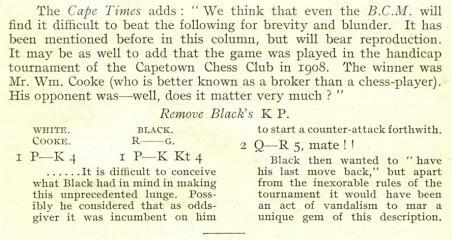 Our link will take readers to the issue of 7 December 1925, which featured Capablanca on the front cover. 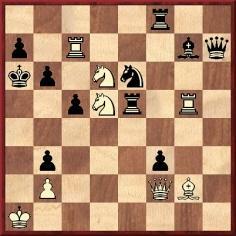 ‘A quick impression is that Black should win by direct means after 47 Rd7: 47...b2 48 Rd1 Kb4 49 Rb1 Kb3! 50 f4 Rc1! 51 Rxb2+ Kxb2 52 Kh4 (With the rook now on the first rank the advance 52 f5 is a mistake as 52...Rf1 53 e4 Kc3 makes the task easy.) 52...Rc6! 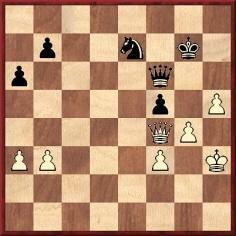 (Covering the h6-pawn, cutting off the white king and preparing to bring the black king into play.) 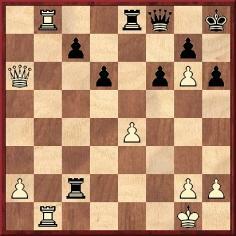 53 g4 Kc3 54 Kh5 Kd3 55 g5 hxg5 56 fxg5 Ke4, and Black is in time to stop the pawns for a win. He was L.D. 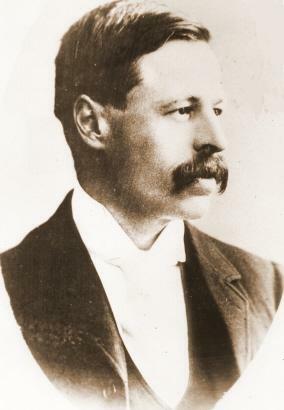 Broughton, Jr., who edited the Magazine for part of its run (see, for instance, page 330 of the November 1897 issue). 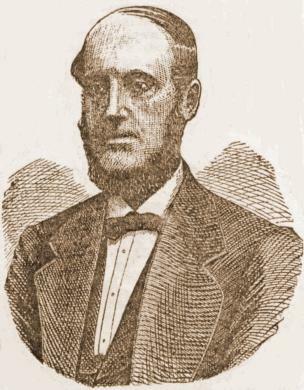 His address was given as 426 Greene Avenue, Brooklyn, NY on page 451 of the January 1898 number. 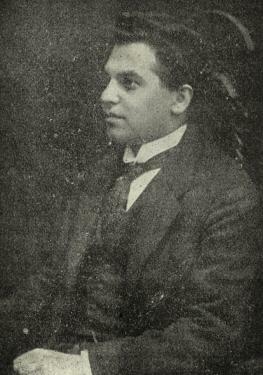 In the following decade Broughton’s name appeared on the mast-head of Lasker’s Chess Magazine, which identified him as an Associate Editor. As so often in such cases, Jeremy Gaige’s Chess Personalia is invaluable in the quest for biographical details. 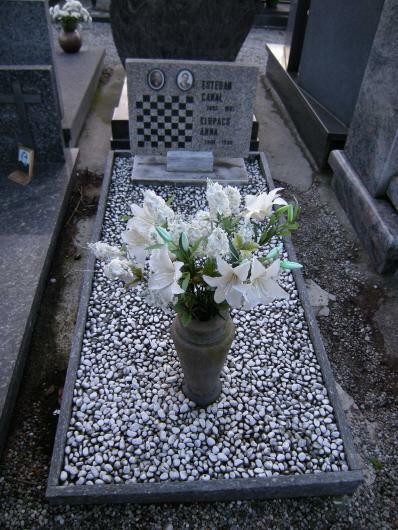 The entry on Luke D. Broughton takes us to obituaries of him on page 137 of the November-December 1947 American Chess Bulletin and on page 78 of the New York Times, 7 December 1947. 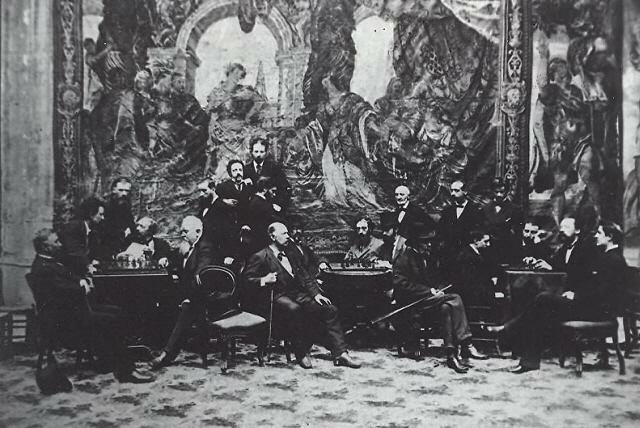 As mentioned in The Most Famous Chess Quotations, Tarrasch’s observation ‘Chess, like love, like music, has the power to make men happy’ appeared on page xi of The Game of Chess. Owners of the 1994 algebraic edition of Tarrasch’s book, edited by Lou Hays and David Sewell, are invited to look for the passage. Now, Chris Boys (Tamil Nadu, India) refers to another alleged comment of Fischer’s: ‘I don’t believe in psychology. I believe in good moves.’ A number of Internet outlets indicate that Fischer made the remark to the Washington Post in 1972. What evidence can be found? The weakest field in all chess literature is surely quotes. Innumerable carefree outlets cite alleged remarks, without any attempt to supply even a vague source, let alone proof of authenticity. 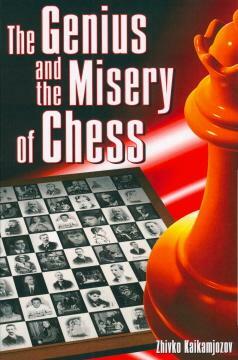 Whole books have been written along such lines, and no good volume of chess quotes has yet appeared in any language. Unimpressive websites may have a source-free ‘quote of the day’ or, even, long lists of purported remarks by luminaries, and others, all without substantiation. Writers fall back on know-nothing/tell-nothing introductions such as ‘Botvinnik is quoted as saying ...’, ‘As Tartakower once wrote ...’, ‘I read somewhere that Steinitz claimed ...’, ‘Wasn’t it Alekhine who remarked ...?’, ‘I’ve heard that Tarrasch often observed ...’, ‘Sources I’ve seen say that Lasker stated ...’ and ‘It is widely reported that Fischer said ...’ In short, the whole domain, reflecting an excess of name-dropping and a deficit of rigour, is a shambles. ‘... les Pions. Ils ſont l’ame des Echècs.’ (Modern spelling: ‘... les Pions. 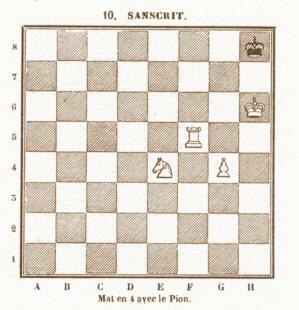 Il sont l’âme des Echecs ...’) L’Analyze des Echecs by F.-A.D. Philidor (London, 1749), page xix. ‘... the Pawns: They are the very Life of this Game.’ Chess Analysed [Cheſs Analyſed] by F.-A.D. Philidor (London, 1750), pages ix-x. Bill Brock (Chicago, IL, USA) notes that the customary English version is, of course, ‘Pawns are the soul of chess’, and we wonder when that exact wording was first seen in print. And has it ever appeared in any English edition of Philidor’s book? A number of quotes and anecdotes concern the dangers of capturing the queen’s knight’s pawn, a matter raised by Alan Brooks (Ilford, England). Readers’ assistance in building up a collection of such citations and stories will be appreciated. This text was on page 181 of the English edition but had not appeared in Die neuen Ideen im Schachspiel (Vienna, 1922). Where can the original be found? C.N. 5824 gave the Fischer quote, ‘I don’t believe in psychology. I believe in good moves’, which is seen regularly, without a specific source. Mark McCullagh (Belfast, Northern Ireland) notes that it appeared in the New York Times of 4 July 1972, and below we give the details. ‘Fischer’s own comments came during an interview at the home of Fred M. Saidy, musical-comedy author, at 2 Cedar Lane, Douglaston. The press had been invited by Mr Saidy’s son Anthony, a physician and a chess master who often competes in international play. 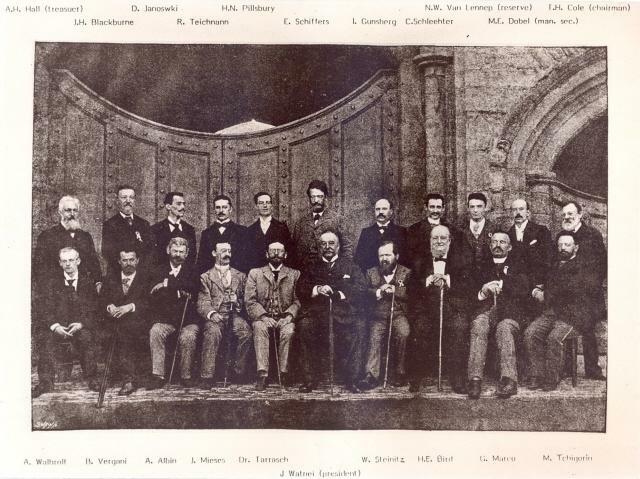 ‘Pillsbury’s remark is confirmed by other descriptions and photographs, with one exception: in the Dresden, 1892 photograph on page 56 of A Picture History of Chess by F. Wilson the player identified as Walbrodt appears taller even than Blackburne’. Neil Kaplan (Edenvale, South Africa) now suggests that this figure, identified as Walbrodt by Fred Wilson, was Georg Marco. 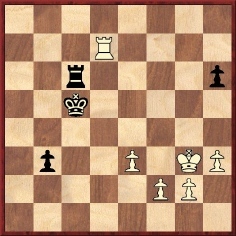 This position occurred after 54 g4 in the game between Vladimir Simagin and Jaroslav Šajtar in the Moscow v Prague match on 10 March 1946. 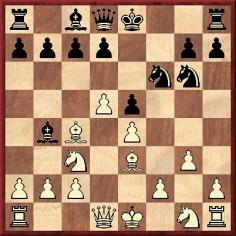 Play is recorded as continuing 54...fxg4+ 55 Qxg4+, and a draw was agreed at move 63. 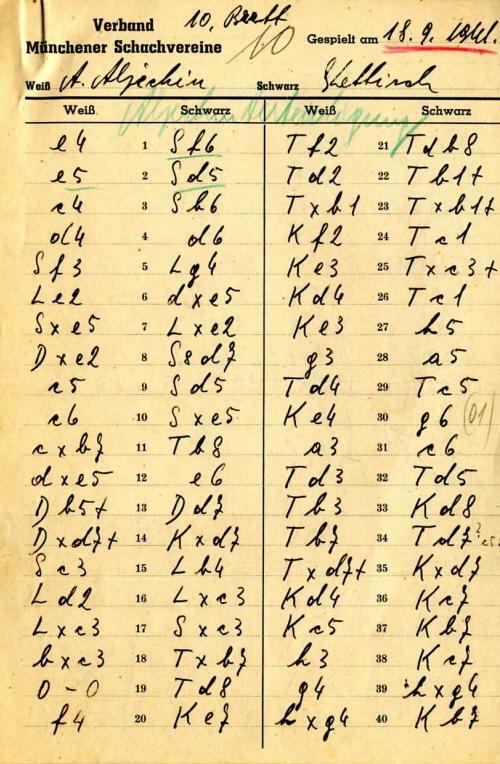 The game was given on pages 24-25 of Moscow v. Prague 1946 (Sutton Coldfield, 1946), and Oliver Beck (Seattle, WA, USA) informs us that in his copy a previous owner, Paul Hugo Little, noted that according to the 4/1946 issue of Shakhmaty v SSSR Simagin originally played 55 Qxf6+, and after 55...Kxf6 56 fxg4 the game continued for ten moves before it was realized that his 55th move was illegal. 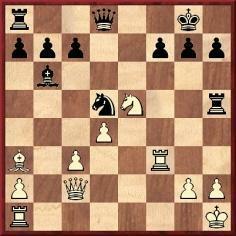 The game was then replayed with 55 Qxg4+. 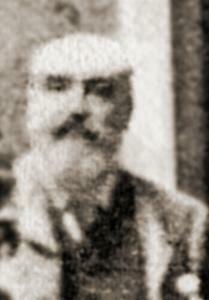 Mr Beck asks for more information about the episode, and readers’ assistance will be appreciated. No source is given. There is only Soltis’ say-so, which amounts to very little more than not very much. 41 g5 Kc7 42 a4 Kb7 43 Kd6 Kb6 44 Ke7 c5 45 Kxf7 c4 46 f5 c3 47 fxg6 c2 48 g7 c1Q 49 g8Q Qf4+ 50 Ke7 Qb4+ 51 Kf6 Qf4+ 52 Ke7 Qb4+ 53 Kf6 Qf4+ 54 Ke7 Drawn. 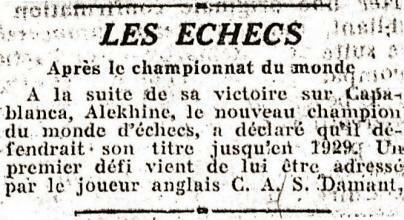 In the newspaper report Unzicker is mentioned as one of Alekhine’s opponents. A photograph featuring both of them was given in C.N. 4373. For a large version, click here. There are several misspellings; for example, the President of the Committee of Management was J. Watney. Mr Rosino informs us that he was given the photograph by the late Achille Martini, who was the founder and President of the Circolo Scacchistico Beniamino Vergani in Montebelluna. 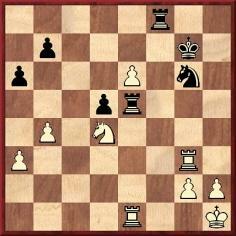 Instead of winning a rook with 29 Rxe8 Qxe8 30 Qa4, Capablanca played 29 Qa8. Thomas then resigned, but could have drawn with 29...Rxa2. ‘Convinced – in fact, overwhelmed – Thomas resigned without looking any further. 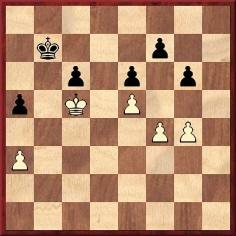 The reference to ‘a won game’ for Black may be regarded as an exaggeration, given that the rook ending appears to be a clear draw if White brings up his king immediately. 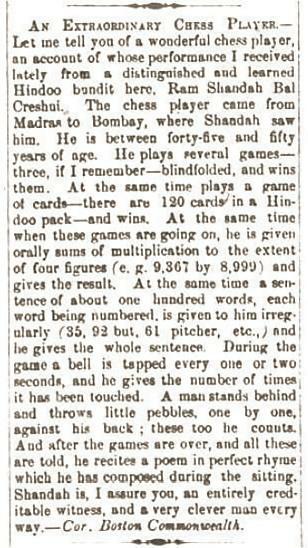 Concerning the claim that Blackburne was the onlooker who discovered that Thomas could have saved the game, C.N. 5310 mentioned that Bruce Hayden had named E.G. Sergeant as his authority for that information. On page 20 of the January 1988 BCM, however, Hayden indicated that his source was Brian Harley. In C.N. 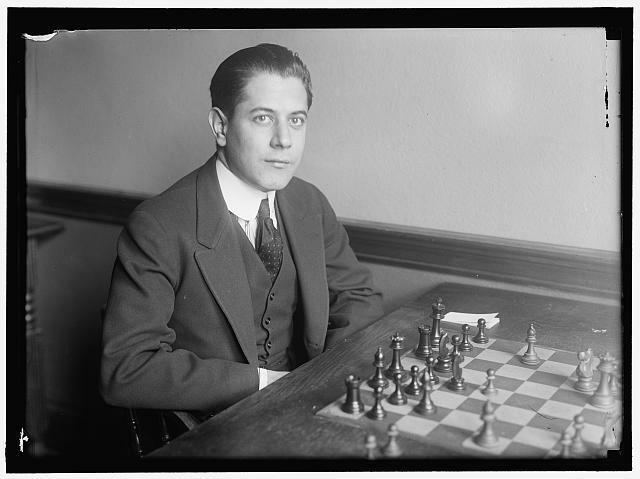 938 (see pages 122-123 of Chess Explorations) Dale Brandreth asked about the existence of sound recordings featuring such old masters as Lasker, Capablanca and Alekhine, and the question is now raised again by Steve Wrinn (Syracuse, NY, USA). 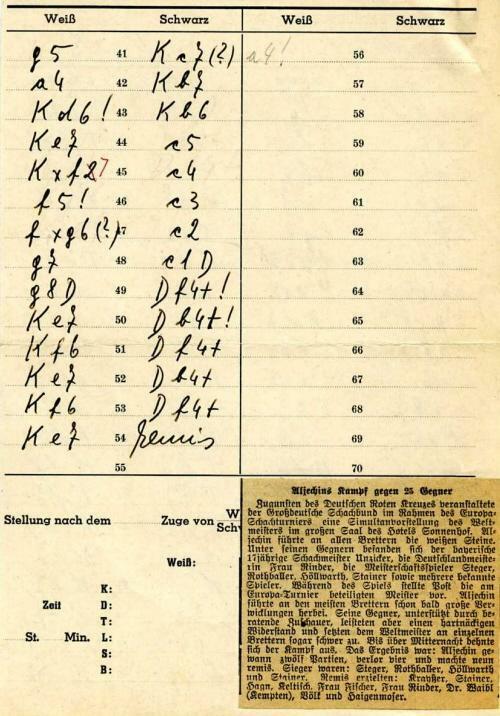 Noting that in 2003 a brief interview with Alekhine (recorded by the BBC in 1938) was presented at the Chess Café, he asks if any similar material can be found. 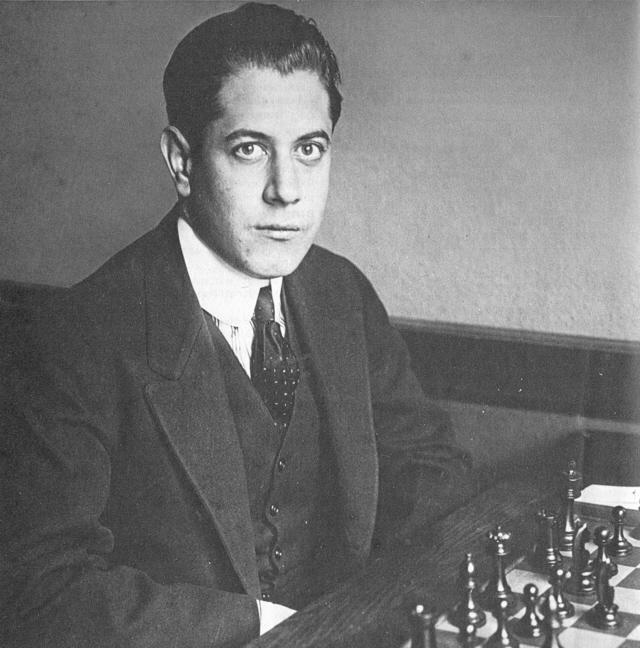 We have often wondered whether recordings have survived of Capablanca’s radio lectures in Spanish in the early 1940s. 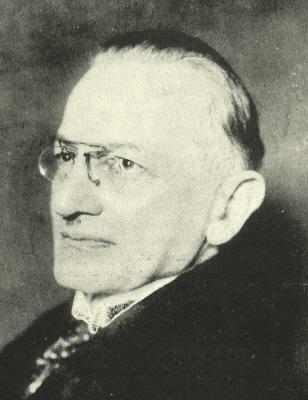 This picture of Daniel Harrwitz is taken from page 269 of volume two of Aus Vergangenen Zeiten by Ludwig Bachmann (Berlin, 1920-22). Does any reader know of a better copy? 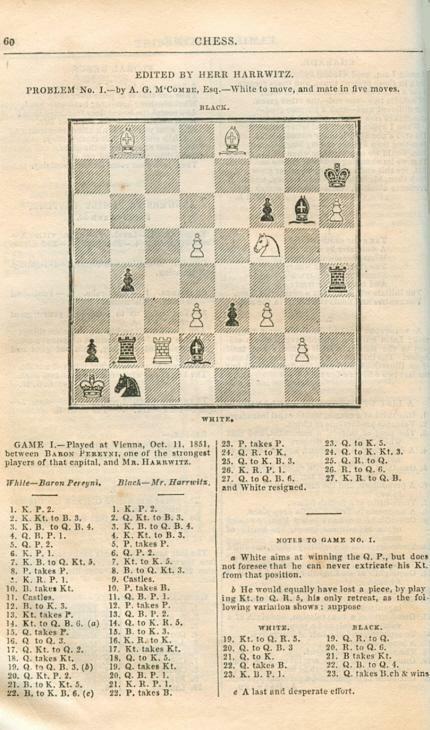 Below are two sample chess columns by Harrwitz, from pages 60 and 179 of the first quarterly volume of The Family Friend. The columns are not dated, but the tome’s Preface ends ‘London, 24 September 1852’. ‘The fact is that there are few more “popular” subjects than mathematics. Most people have some appreciation of mathematics, just as most people can enjoy a pleasant tune; and there are probably more people really interested in mathematics than in music. Appearances suggest the contrary, but there are easy explanations. Music can be used to stimulate mass emotion, while mathematics cannot; and musical incapacity is recognized (no doubt rightly) as mildly discreditable, whereas most people are so frightened of the name of mathematics that they are ready, quite unaffectedly, to exaggerate their own mathematical stupidity. A very little reflection is enough to expose the absurdity of the “literary superstition”. 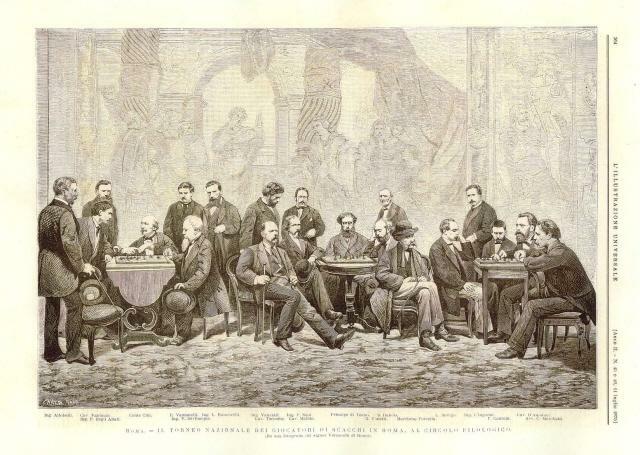 There are masses of chessplayers in every civilized country – in Russia, almost the whole educated population; and every chessplayer can recognize and appreciate a “beautiful” game or problem. Yet a chess problem is simply an exercise in pure mathematics (a game not entirely, since psychology also plays a part), and everyone who calls a problem “beautiful” is applauding mathematical beauty, even if it is a beauty of a comparatively lowly kind. Chess problems are the hymn-tunes of mathematics. See also pages 222-223 of King, Queen and Knight by Norman Knight and Will Guy (London, 1975). The best-known remark in the above passage is ‘Chess problems are the hymn-tunes of mathematics’. The context suggests that the comparison was hardly intended as a compliment. Peter Wood (Hastings, England) notes that the group photograph was taken in front of the entrance to Battle Abbey, which was built on the site of the Battle of Hastings of 1066. We note too the entry in the Library of Congress Online Catalog. Can any reader find a copy of the book? Notwithstanding the word ‘occasionally’, the Kmoch/Reinfeld article had not suggested that the conclusion of the Alekhine v Grünfeld game was other than an isolated incident. 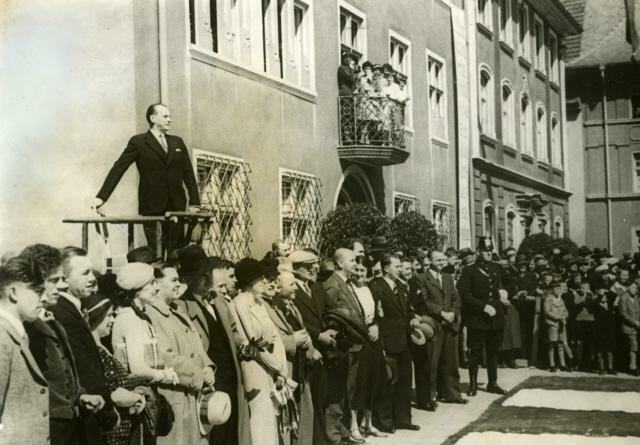 As noted in Chess with Violence, Kmoch was a participant in Vienna, 1922, but does any other source corroborate the claim about Alekhine which Kmoch made nearly three decades later? 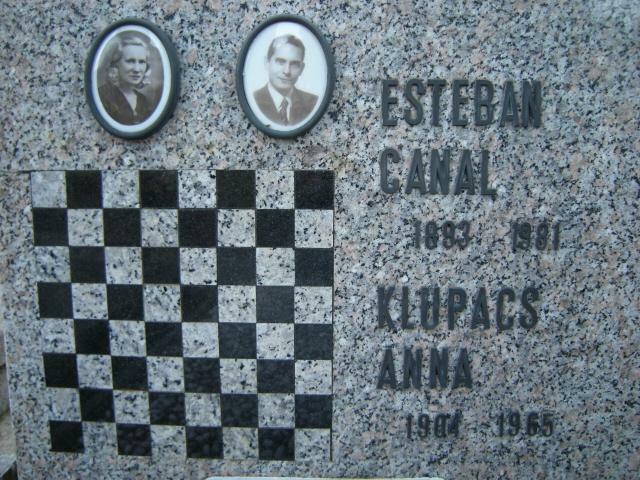 What is the connection between the city where this tournament was held and a pupil of Capablanca’s? 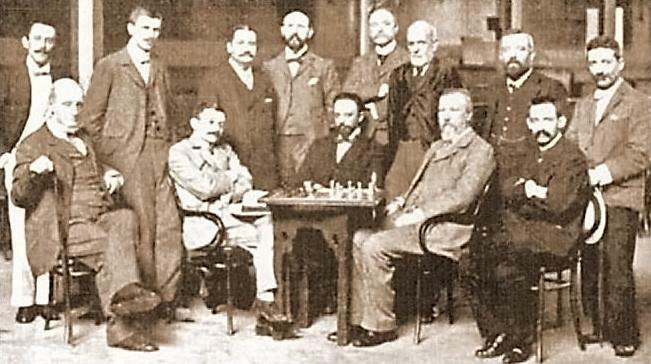 Our correspondent informs us that he has produced a page about Aristide Gromer on his Héritage des échecs français website. The photograph in C.N. 5845 came from Antonio Rosino (Venice, Italy). It was published in a book co-authored by him with Adriano Chicco, Storia degli scacchi in Italia (Venice, 1990). One of Salo Flohr’s most famous games – see, for instance, pages 40-44 of The Most Instructive Games of Chess Ever Played by Irving Chernev (New York, 1965) – is his victory over Rafael Domènech at Rosas, 1935. 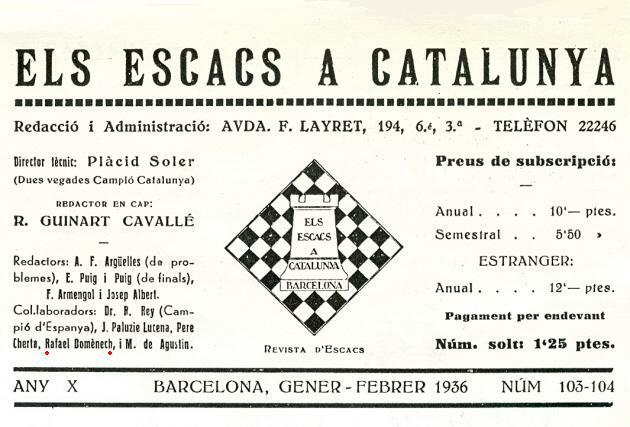 Although White is customarily said to have given up in the pawn ending after 30 Kxd2 Kd6, the game continued 31 c5+ Kxc5 and ‘White resigned a few moves later’ according to Flohr in his notes on page 337 of El Ajedrez Español, July 1935. We shall be reverting to this position shortly, but in the meantime should like to know whether any reader recognizes it. Concerning the Earliest Occurrences of Chess Terms, Volfango Rizzi (Chester, England) suggests an entry for ‘tempo’. 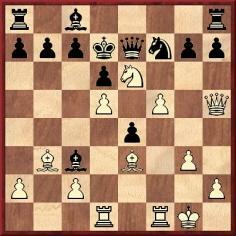 18 f6 Bxf6 19 Ba4+ c6 20 dxc6+ bxc6 21 Bxc6+ Kxc6 22 Qd5+ Kd7 23 Qb5+ Kxe6 24 Qf5 mate. 37 Rc1 Rc8 38 Rf1 Rf8 39 Kg1 Rxf1+ 40 Kxf1 Re4 41 e7 Kf7 42 Nf5 Rf4+ 43 Rf3 b6 44 Kf2 a5 45 bxa5 bxa5 46 Kg3 Rxf3+ 47 Kxf3 Ne5+ 48 Ke3 Nc4+ 49 Kd4 Nxa3 50 Kxd5 Nb5 51 Nd6+ Nxd6 52 Kxd6 Ke8 53 Kc5 and White won. An increasing number of chess books and periodicals can be consulted at the Google Books website, which provides a very practical way of searching for early instances of chess vocabulary. Information from readers on their findings will be most welcome. Another heading, on page 26, reads: ‘Mister Morphy, you have won the match, because you are stronger than me.’ These words, according to Mr Kaikamjozov, ‘Staunton pronounced in broken French’. Overleaf it is averred that, later on, Morphy ‘became paranoid, despised everyone’ and that ‘a loaded gun was kept on his bedside table at all times’. That Morphy chapter (pages 23-29) shows the author at his most fabulistic, and we have seldom seen anything quite so bad. Regarding the observation ‘I don’t believe in psychology. I believe in good moves’, Stefan Müllenbruck (Trier, Germany) draws attention to a brief YouTube video clip of Fischer. ‘It is always too early for P-KB4.’ This is vaguely described as a ‘maxim by a well-known foreign Master’ on page 18 of One Hundred Chess Maxims by C.D. Locock (Leeds, 1930). 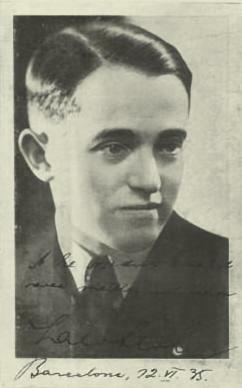 In the second edition, published later in the 1930s, see page 19. What more is known about the saying? 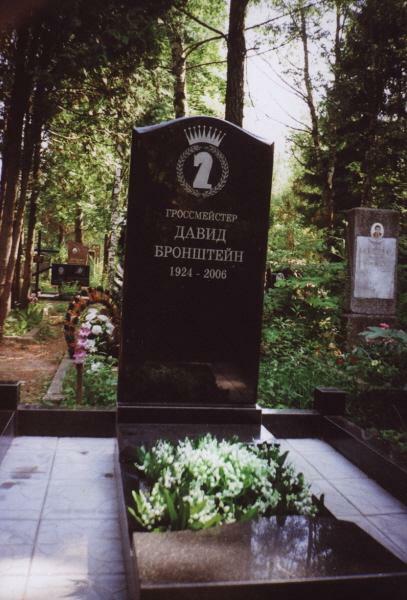 Yakov Zusmanovich (Pleasanton, CA, USA) has sent us, courtesy of Sergei Voronkov, a photograph of David Bronstein’s grave, located in a cemetery (Чижовскоe) in Minsk, Belarus. Below is a further article by G.H. 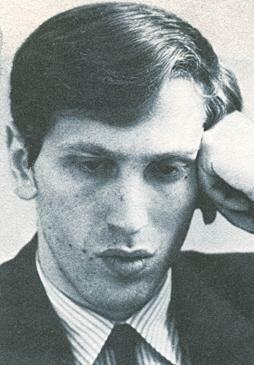 Diggle, the Badmaster, from page 90 of Chess Characters (Geneva, 1984). It was originally published in the January 1983 issue of Newsflash. ‘In C.N. 5330 Michael McDowell asked whether a problem published in La Régence is the only one composed by Kolisch. 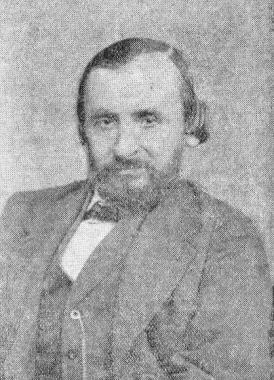 I have found two others ascribed to him, in Shakhmatnyy listok, 1862. 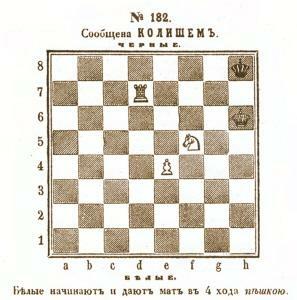 The first, on page 139, is a slight variation on the one in the French magazine; the white king is on a6, not a7, and there is a black rook, not pawn, on f4. 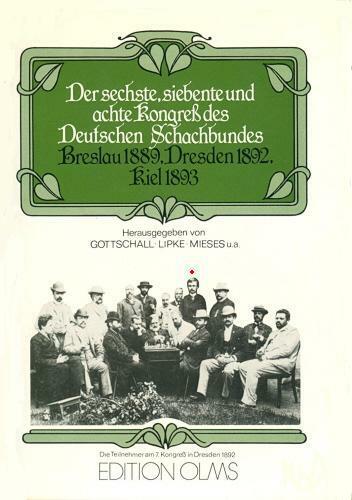 ‘I am collecting the games of Kolisch and now have about 260, with original sources. The only game which I have solely from a web database is Turgenev v Kolisch (occasion? 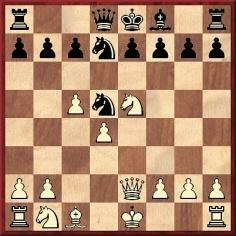 ): 1 e4 e5 2 Nf3 Nc6 3 Bc4 Nf6 4 Ng5 d5 5 exd5 Na5 6 d3 h6 7 Nf3 e4 8 Qe2 Nxc4 9 dxc4 Bc5 10 Nfd2 O-O 11 h3 e3 12 fxe3 Bxe3 13 Kd1 Re8 14 Qf3 Bxd2 15 Nxd2 c6 16 b3 cxd5 17 Bb2 Ne4 18 c5 Qg5 19 Bc1 Qxg2 20 Rf1 Nc3+ 21 White resigns. 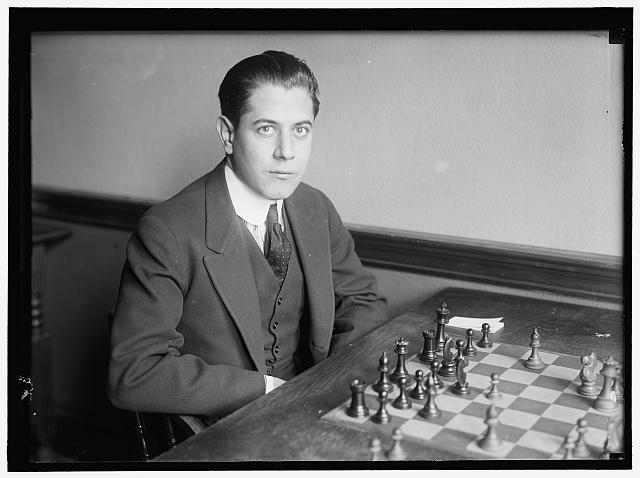 Olimpiu G. Urcan (Singapore) notes that additions continue to be made to the Library of Congress photograph collection and he draws particular attention to a pair of pictures of Capablanca dated 1915. The Library’s conditions for use of its pictures should be noted. 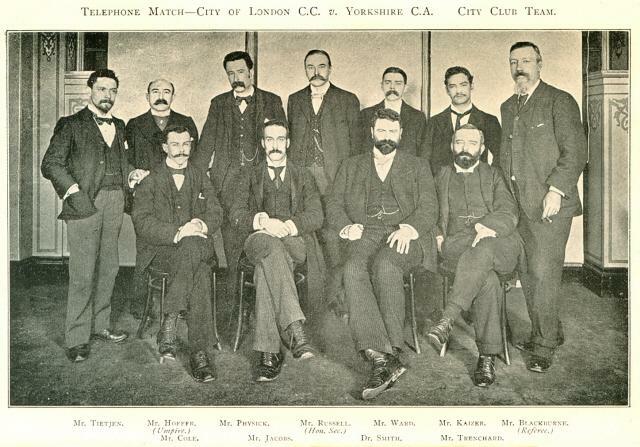 A search for chess photographs at the website also yields a good shot of Tartakower and Edward Lasker. Reverting to the published statement that G.H.D. 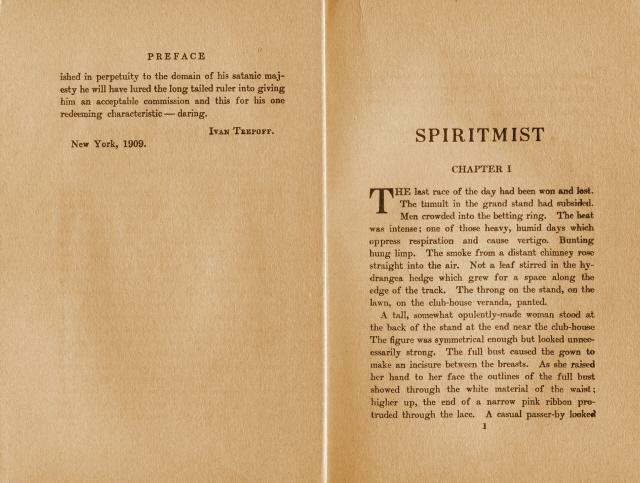 Gossip wrote a work of fiction, The Jew of Chamant, under the name Ivan Trepoff, Mr Rhine notes that according to page 1037 of American Fiction, 1901-1925: A Bibliography by Geoffrey D. Smith (Cambridge, 1997) ‘Ivan Trepoff’ was a pseudonym of Herman Arthur Haubold (1867-1931). Did two writers use the same pseudonym, or was The Jew of Chamant written by Haubold, and not Gossip? 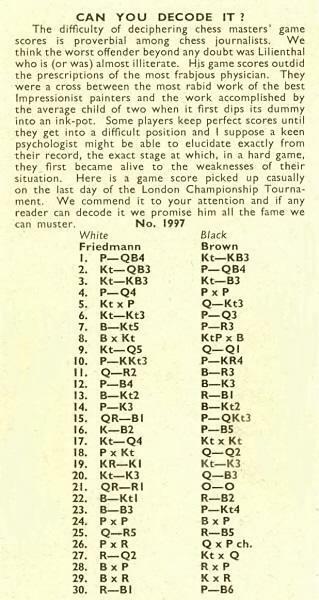 CHESS subsequently reported that three readers (including Gordon Crown) had achieved the ‘extraordinary feat’ of reconstructing the game as far as move 26. Their solution, together with a proposal from Mr Bauzá Mercére for the complete game, will be given here in due course. Photograph of some of the participants, contributed by Pierre Bourget (Quebec, Canada) in C.N. 5328. 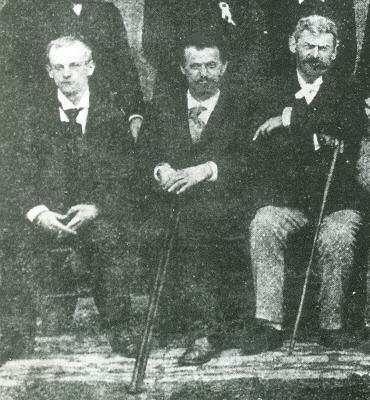 He subsequently proposed the following key: Standing (from left to right: D. Janowsky, G. Maróczy, F.J. Lee, L. Hoffer, J.W. Showalter, S. Tinsley, R. Teichmann and W. Cohn. Seated: H.E. Bird, E. Lasker, M. Chigorin, J.H. Blackburne and C. Schlechter. Absent: J. Mason, H.N. 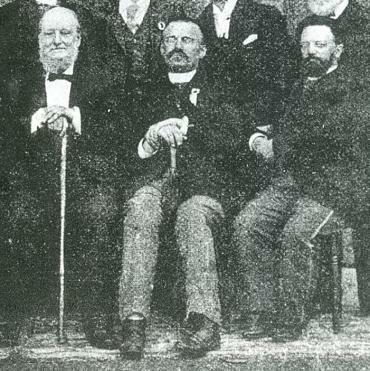 Pillsbury and W. Steinitz. Joost van Winsen (Silvolde, the Netherlands) suggests that the player identified as Showalter was J. Walter Russell, one of the secretaries of the organizing committee, and that the figure named as Teichmann was H.W. Trenchard. 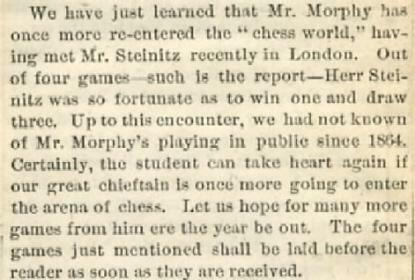 Our correspondent asks about tournaments which pre-dated London, 1851 and draws particular attention to the above reference to a gathering in Leeds. 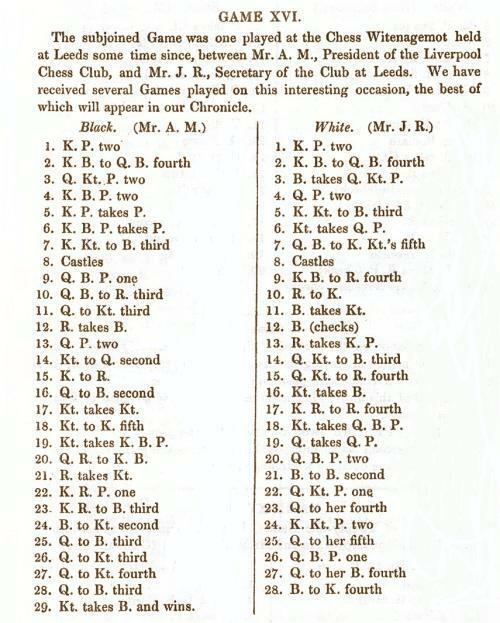 The first two events recorded in volume one of Chess Tournaments A Checklist by Jeremy Gaige (Philadelphia, 1985) were knock-out contests in London, 1849 (won by H.T. Buckle) and Amsterdam, 1851 (won by M. van ’t Kruijs). Then came London, 1851. 18...Nxc3 19 Nxf7 Qxd4 20 Raf1 c5 21 Rxc3 Bc7 22 h3 b6 23 Rcf3 Qd5 24 Bb2 g5 25 Qc3 Qd4 26 Qb3 c4 27 Qb4 Qc5 28 Qc3 Be5 29 Nxe5 and wins. Information is sought on early occurrences of the term ‘tournament’ in chess writing. 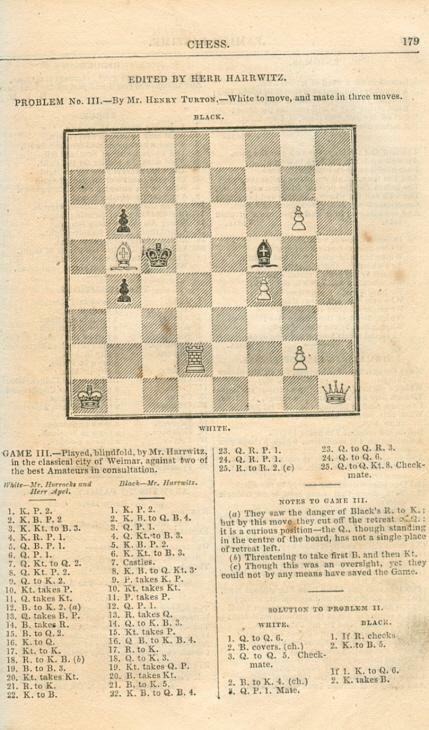 It appeared twice, though not in the modern sense, in an article by George Walker entitled ‘Chess, without the chess-board’ published on pages 302-318 of Fraser’s Magazine, March 1840 and reproduced on pages 106-147 of his book Chess & Chess-Players (London, 1850).